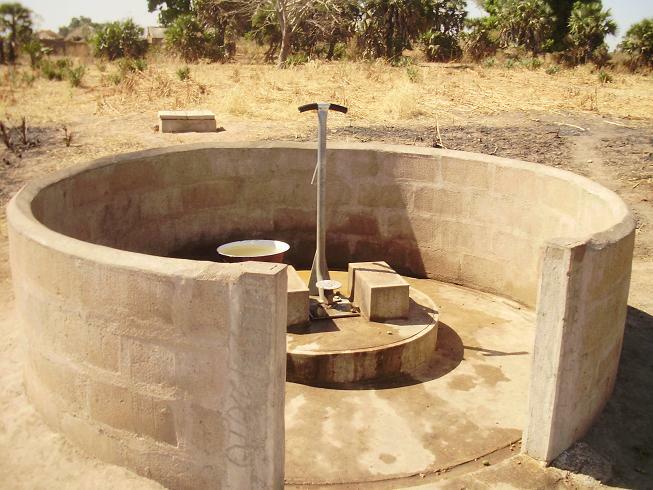 These wells not only provide cleaning drinking water, but water for drip irrigation farming during the dry season. If you have been following the work of Hope Springs International, you know that God has blessed this work in many ways. He has presented us with challenges, but as we have been faithful to trust Him He has provided the means to meet those challenges. On the heels of having the construction costs for our Orphanage and Farm Compound fully funded we have been presented with another significant opportunity: to provide clean drinking water for the rest of Dono-Manga, Chad. To date we have repaired 26 wells and as I write this note 16 new wells are being drilled. We have been informed that an additional 30 new wells will provide clean water for the rest of the 126,000 people in this district of the nation of Chad. These 30 new wells will provide water for more than 60,000 people for the next 25 to 30 years. Because of a special arrangement we have with the Chadian government, we can drill each new well for only $1,000. To our knowledge there is only one commercial well drilling company in Chad and they charge over $6,800 to drill just one well. Think about that for a moment! We can drill each well for one seventh the cost of a commercially drilled well. That is only .50 per person. Spread the cost over 25 years and that is just .02 per person per year. We have just received word this week that the government drilling operation is willing to stay in Dono-Manga and drill as many wells as we can fund before they leave for other areas of Chad. Once they leave we are uncertain as to how long it will be before we could get them back. It took them a full year to get to us this time because of their heavy schedule. Help us save lives and bring lasting change to Dono-Manga. Send your gifts to Hope Springs International, 118 Wessington Place, Hendersonville, TN 37075. You can also donate online if you prefer at www.hopespringsint.com. Categories: Chad, Dono-Manga, New Wells, Water | Tags: Chad, Water, Wells | Permalink. Another family has stepped forward to provide the rest of the funds needed for the Hope Springs’ Orphanage and Training Farm project in Dono-Manga, Chad. Praise God! This means that we will be able to begin construction on all facilities around the 1st. of March giving us sufficient time to complete the project before the heaviest rains of the rainy season begin toward the end of June. I am convinced that when we listen to learn where God is working, He will show up to provide our needs abundantly. Hope Springs had no plans to begin a work in the nation of Chad when we received that first S.O.S back in February of 2009. But God heard the prayers and pleas of the families who over a six month period had buried 600 of their children who had died from water-borne diseases and treatable childhood illnesses. Three years later 26 wells have been repaired, 16 new wells are being drilled as I write this, a new clinic has been constructed and stocked with drugs, and now we are ready to embark on a project to provide a home and future for 41 orphans. We were also told, on our recent trip to Dono-Manga, that there has been a significant drop in the death rate of children under the age of 5 where wells have been repaired. 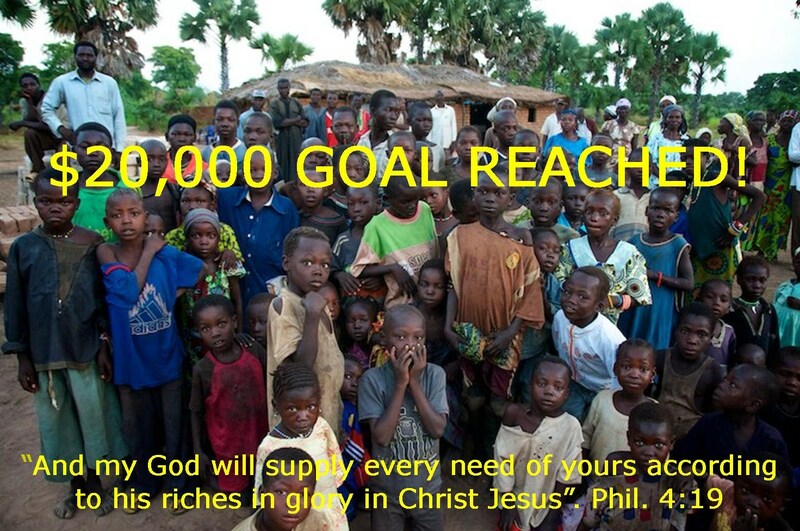 Add to this the new churches that have been established and almost 70 new Christians who have come to faith in Jesus. Many of you have and continue to support Hope Springs International. Thank you for being Jesus to many who will be eternally grateful for your sacrificial giving to make this work possible. 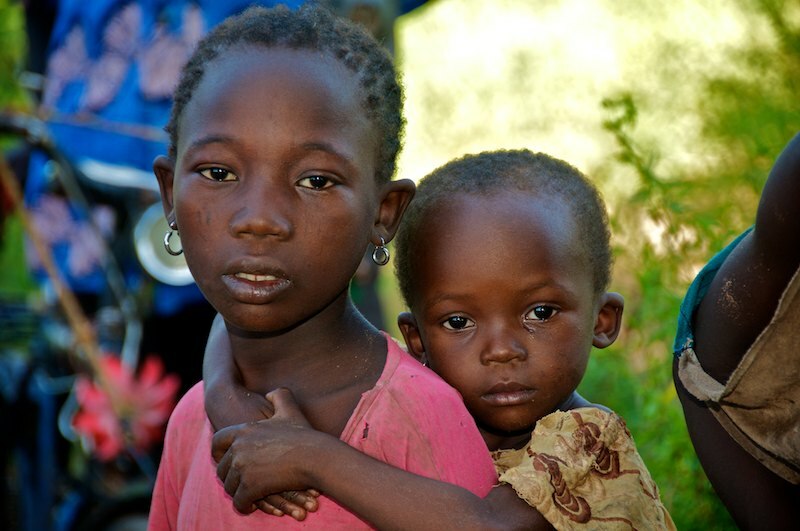 Categories: Chad, Child Mortality, Children, Clinic, Dispensary, Dono-Manga, Drip Irrigation Farming, New Wells, Orphanage, Orphans, Water, Well Repair | Tags: Chad, Child Mortality, Children, Dispensary, Orphanage, Orphans, Preventable Death of Children, Water, Water Born Disease, Wells | Permalink. We have more exciting news to share. Hope Springs has received a pledge for $10,000 for our Orphanage and Farm Compound Project in Dono-Manga, Chad. This added to other donations means we are over half way to our goal of $20,000. Due to the generosity of this couple we should be able to begin construction on the Orphanage near the first of March. If all goes smoothly the building will be completed and ready for the children to move in before the rainy season which will begin in earnest around the first of June. The rest of the project, the compound wall, chicken house, goat shed and catfish tank will be completed as additional funds are donated. Other great things are in the works so stay tuned. I believe that more great news is on the way. God is at work, using caring hearts to meet the needs of HIS kids in Dono-Manga. We serve an awesome God! Can I get an amen? Categories: Children, Dono-Manga, Orphanage, Orphans | Tags: Chad, Orphanage, Orphans | Permalink. We received a picture of the first of 16 new wells being drilled in Dono-Manga, Chad. Funds donated at this time last year by the Madison Church of Christ and its satellite campus, NorthField Church of Christ were placed in trust with a major bank in the nation of Chad. We then joined a long line of previously arranged contracts to wait our turn. Progress was slowed again a few months later with the onset of the rainy season which makes Dono-Manga inaccessible due to impassable roads that often wash away and have to be rebuilt when the rains stop. We are often ask how we are able to drill wells in this section of Chad for only $1000 each when in most parts of Africa they can cost upwards of $5000? The Chadian government pays a large portion of the expense for these new wells is the simple answer to that question. The relationships that we forged with the local government during the time we provided funds for the repair of 26 out-of-service wells opened doors for the government to agree to work with us on this well drilling program. There are three separate groups of workers involved in the well process. The well is first drilled by one group. When they are finished a second group does the masonry work. They are then followed by the plumbers who bring the submersible pump, piping and foot pump. The District Commander for Dono-Manga has been a tremendous partner in this whole process. He has even sent one of his own people for training to become qualified to do maintenance and repairs on all the old and new wells in Dono-Manga. 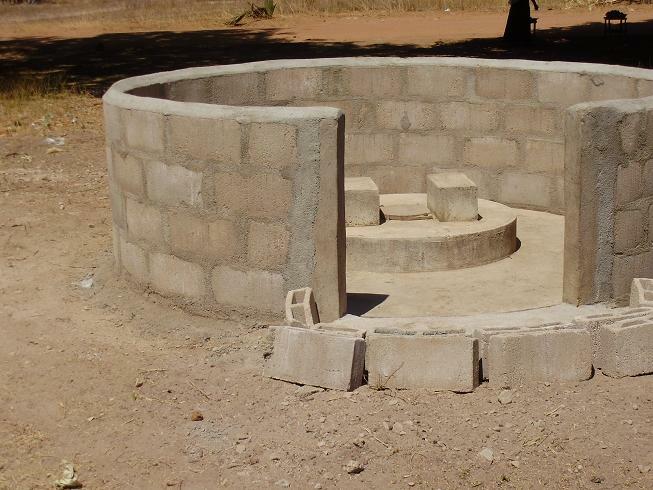 Each one of the new or repaired wells will provide water for about 2000 people for many years to come. During the three months before our first visit to Dono-Manga over 300 children had died because of the lack of safe clean water. In areas where we have repaired wells it is estimated that the death rate has dropped by as much as 80%. You can imagine the impact that these 16 new wells will have on other sections of this district. 30 more new wells are planned for the future to meet the total need of the 126,000 people of Dono-Manga. If you, your church or group would like to provide one of the last 30 wells for Dono-Manga under this present program contact us at: rabboniblog@yahoo.com. Note the difference in water for baptisms. The water to the left is the same water they were drinking. Categories: Chad, Child Mortality, Dono-Manga, New Wells, Water, Well Repair | Tags: New Wells | Permalink.